Chernobyl Children International are heavily engaged in a whole number of Humanitarian efforts, aside from our various medical, community and construction based programmes. We provide physical aid to some of the most deprived regions of the effected Chernobyl area, giving those suffering the effects of the disaster a means to survive in some of the most horrific conditions. In 1994 Adi Roche was the keynote speaker at the UNESCO Conference on Chernobyl at which she gave personal testimony of her experiences of meeting representatives of the “liquidators”—the 700,000 men and women conscripted to ‘liquidate’ or ‘blot-out’ the radiation released by the accident. The United Nations invited Adi Roche, CEO, Chernobyl Children International, to be the keynote speaker at the launch of the International Chernobyl Research and Information Network (ICRIN) Implementation Plan. The objective of ICRIN is to support the ongoing efforts towards a sustainable development in the affected territories by compiling, consolidating and coordinating relevant scientific research, commissioning further research where required, and ensuring the effective dissemination of its findings. On the 26 of April 2016, Adi gave a landmark address to the UN General Assembly in New York. In an unprecedented move the Belarusian UN delegation provided Adi with their speaking time at the General Assembly discussion on Chernobyl in recognition of the international role Ireland and Chernobyl Children International has played in helping the victims of the Chernobyl catastrophe. It was the first time an ordinary person (non-diplomat/non-political person) has been extended the honour of speaking at the UN General Assembly during a country’s allocated time. On 8th December 2016, as a direct result of Adi’s address the United Nations ratified “Persistent Legacy of Chernobyl disaster”, a symbolic element of which is the implementation of “International Chernobyl Disaster Remembrance Day” which will be commemorated on 26th April, forevermore. At the Millennium Summit in September 2000, the largest gathering of world leaders in history adopted the UN Millennium Declaration, committing their nations to a new global partnership to reduce extreme poverty and setting out a series of time-bound targets, with a deadline of 2015, that have become known as the Millennium Development Goals. The MDGs are the world’s time-bound and quantified targets for addressing extreme poverty in its many dimensions – income poverty, hunger, disease, lack of adequate shelter and exclusion – while promoting gender equality, education and environmental sustainability. They are also basic human rights – the rights of each person on the planet to health, education, shelter and security. Adi Roche continues to exchange information and reports with the United Nations Office for the Coordination of Humanitarian Affairs (OCHA). She has given a number of keynote addresses at UN conferences, and consulted on ways to improve damage assessment and aid distribution in the wake of the accident. 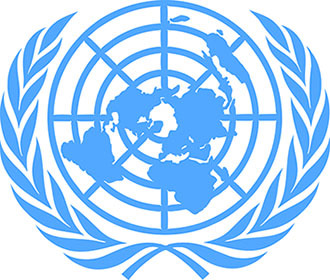 The aid programmes developed and operated by the Chernobyl Children International provided a model for the United Nations to use in developing their own international aid programmes for the children of Chernobyl. In the CCI aid model, aid materials are purchased in-country, rather than delivered by convoy. This allows CCI to contribute to the local economy and stimulate self-sufficiency in Belarus. Research is critical to help us understand the ongoing consequences of the unprecedented levels of contamination caused by the Chernobyl nuclear disaster, and find the best ways to help those affected. CCI has contributed to the growing pool of Chernobyl-related research by funding the work of the late, highly respected independent scientist Professor Vasily Nesterenko, a member of the Academy of Sciences of Belarus and a Director of the Belarusian Institute of Radiation Safety. CCI continues to support new research by supporting Belarusian and Ukrainian scientific researchers who are working on innovative treatments for radiation-related illnesses.